Mental health is still one of those things that not everyone is happy to talk about. But problems that present themselves in the mind can be just as serious as other physical problems. So, it’s important to speak about them and learn as much as possible about them. It’s impossible to understand your own mental health and the symptoms linked to potential problems if you don’t know anything about them. Maybe now is the time for you to start thinking a little more closely about this particular issue. Knowing more about the various types of mental health issues can only be a good thing for you. There is no harm in understanding these things, even if they never affect you personally. But the chances are that you or someone you know will experience a mental health problem at some point. It’s believed that one in four people will experience a mental health problem during their lifetime. So, the problem might be more common than you currently realise. Feeling unease and fear is strongly associated with anxiety. It’s a very unpleasant and chronic mental health problem. It’s hard to tell the difference between normal anxiousness and the mental health issue known as anxiety. Generally speaking, the persistence of the problem and the severity of it is what you should focus on. If it lasts for a long time or keeps coming back, it might be best to seek medical help from your doctor. The symptoms of the problem can be managed if you get the right medical attention, so don’t avoid getting this sorted. Bipolar disorder is a mental health problem that mainly affects your mood. It’s marked by extreme highs and extreme lows. One day, a person with bipolar disorder can feel on top of the world, and the next they can be in the depths of depression. On top of this, some sufferers can experience psychotic symptoms. We all have mood swings, and no one feels the same way all the time. But for people with bipolar disorder, the shifts in their mood are wild and extreme, making them very difficult to manage. Medical treatments and medications are available for people diagnosed with the disorder. Addiction is not something that is simply self-inflicted, which is what many people still believe. Instead, it’s something that some people are more likely to experience than others. People with impulse control disorders are unable to control the urges they get. This can then lead to addiction. Addiction disorders can be separate from impulse control disorders too, though. Some people simply have a personality that makes them more likely to get addicted to things like alcohol, drugs or gambling. OCD can be mild or very severe. For many people, it’s still a disorder that is seen as something of a punchline. But for many people, that’s far from the case. It’s not just about people who are clean freaks and like things to be neat. In people with severe cases of OCD, leaving the house and leading an ordinary life can be very difficult indeed. They are subjected to constant thoughts and fears. To placate these thoughts, they have to carry out certain obsessive rituals. These are known as compulsions, hence the name. Getting expert medical attention for OCD is vital, no matter how severe the case is. Stress is one of the most common mental health problems out there. It can be experienced in various ways, and there are many levels of severity. Things that might not seem like big problems can have an impact in the future. For example, you might experience stress every day at work or at home. It probably doesn’t feel like a medical issue. But the impact that this stress could have on your heart and mind in the long-term could be devastating. Things like heart attacks and strokes are more likely when a person is stressed. Stress in the workplace is very common and should be combatted. Critical incident stress management systems in the office can help to cut out the problem at its source. Depression can present itself in a number of different ways. For most people, it comes as a low feeling that affects their general mood and how they live their life each day. It can come and go, but if it keeps returning persistently, it could be depression. Many people feel unmotivated and unable to find the impetus to go through their normal routines. It can also lead to feelings of guilt, despair, exhaustion and hopelessness. Finding help from a doctor and getting counseling and medication can help to rectify the problem. But it’s usually about managing the problem and keeping it at a distance. There are also specific kinds of depression that can strike people. For example, parents can suffer postnatal depression. Eating disorders remain very common, especially in young people. In truth, however, they can strike anyone, no matter how old or young they are. There are many different eating disorders out there, but they are all related to extreme attitudes and actions regarding food and weight. It can be hard for the individual recognise their own behaviour. But it becomes increasingly apparent to those around them. Eating less, not wanting to eat around other people and extreme weight loss can all point in the direction of eating disorders. Binge eating, anorexia nervosa and bulimia nervosa are the most common types of eating order that are experienced. If you’re worried someone you know might have one of those issues, approach the subject cautiously. 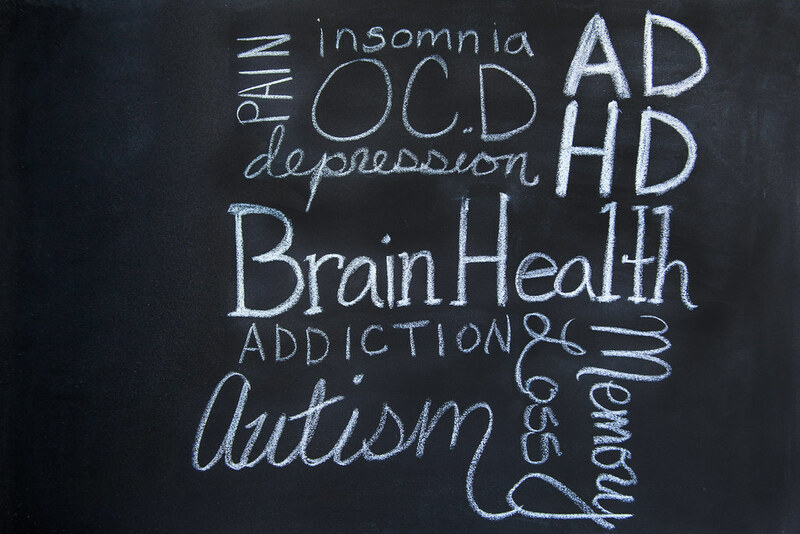 Of course, these mental health problems are just some of the most common. But there are many more that people have to deal with. For example, schizophrenia and borderline personality disorder are serious mental health problems too. Always talk to a doctor if you have any concerns about your own mental health or the mental health of someone you know.